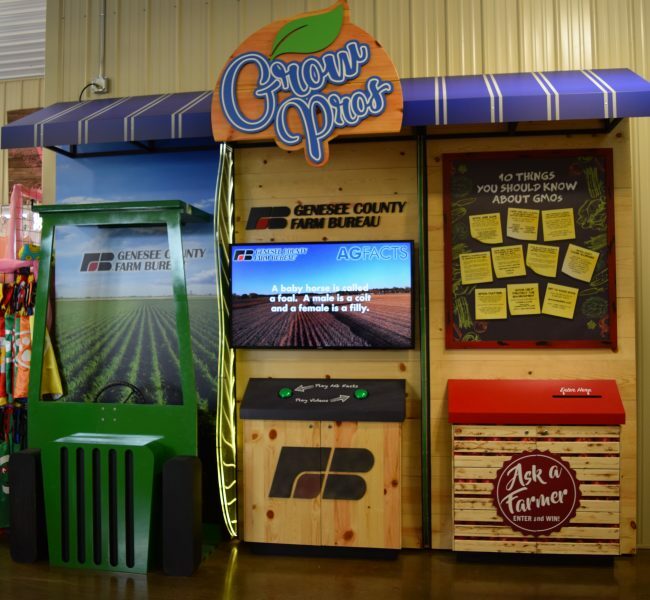 We create agricultural exhibits and displays for agribusinesses and agricultural community educators to help them connect with consumers. We're here to help you promote agricultural literacy. We begin with your needs. 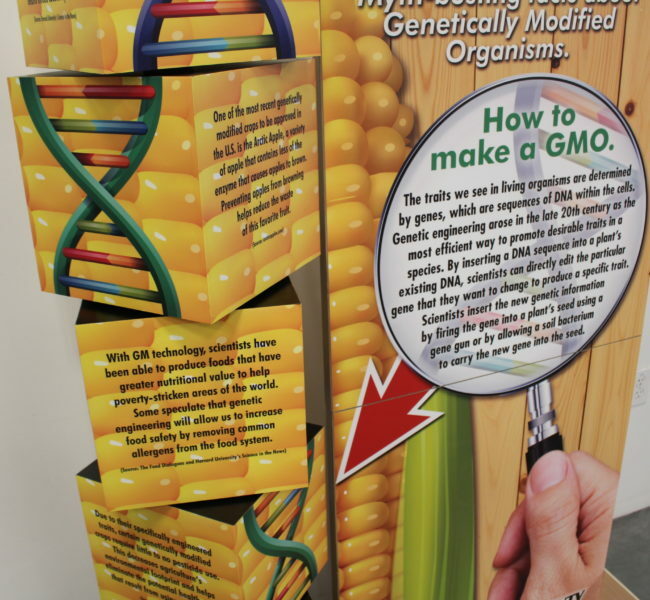 Tell us your ideas for how to share your agricultural message with your community. 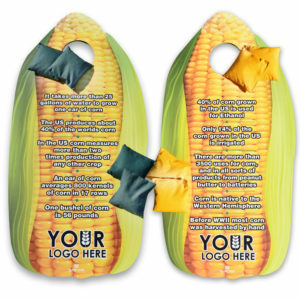 With our combined creative energy, we’ll plant the seeds for your display. This is when your ideas become a reality. Using our collaborative plans as a blueprint, our experienced team of artists and craftsmen will handcraft your display until it is fully developed. Once your display is complete, put it to use. 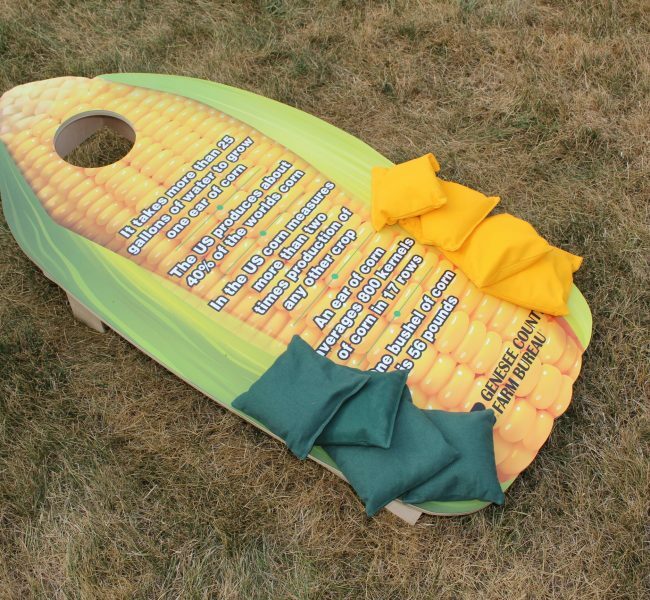 This creative resource will help make agriculture reachable to your community, building relationships between consumers and farmers. View our custom projects or browse our product catalog. 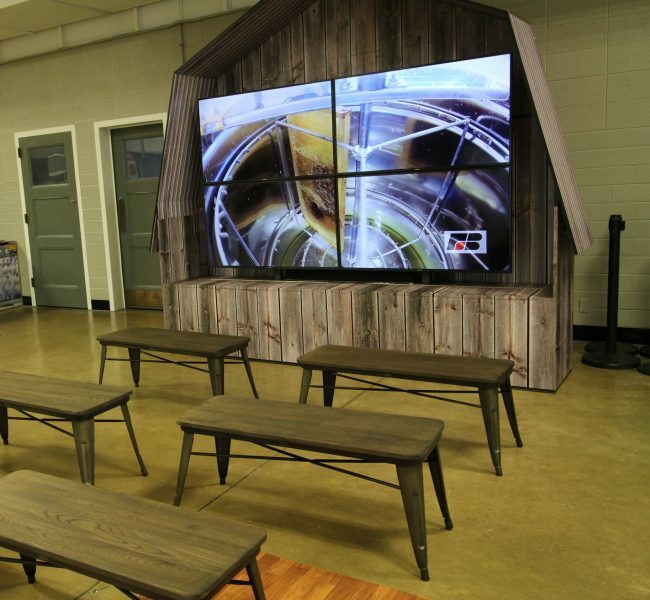 As our vision was to provide a tool to better connect the consumer of food products with the producer of food products, Exhibit Farm accomplished this and more through their highly interactive exhibits designed for all ages. 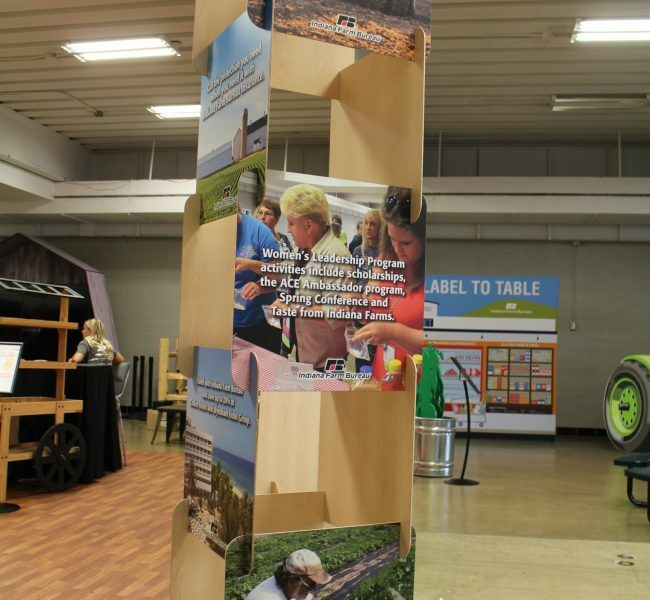 The team behind Exhibit Farm brought their hard work and creativity to our IQhub exhibit as they guided the project from conceptualization to installation. 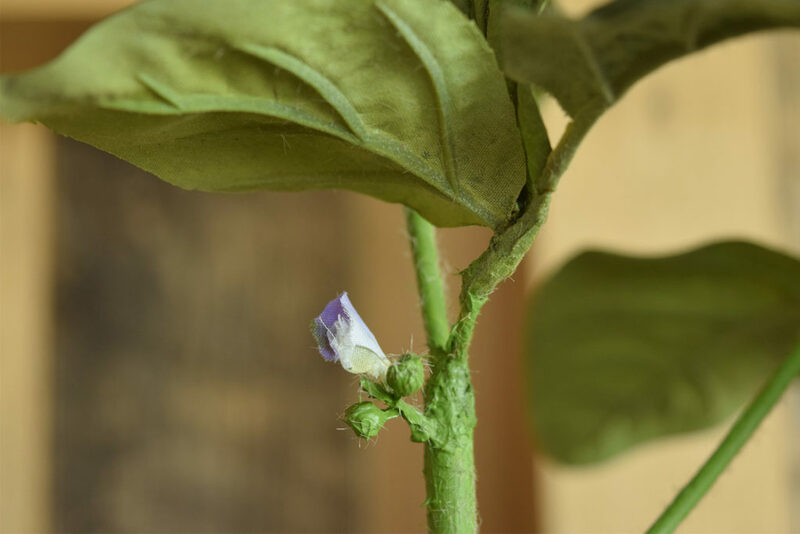 Their work has helped us teach visitors to our headquarters about the farm-to-fork connection. 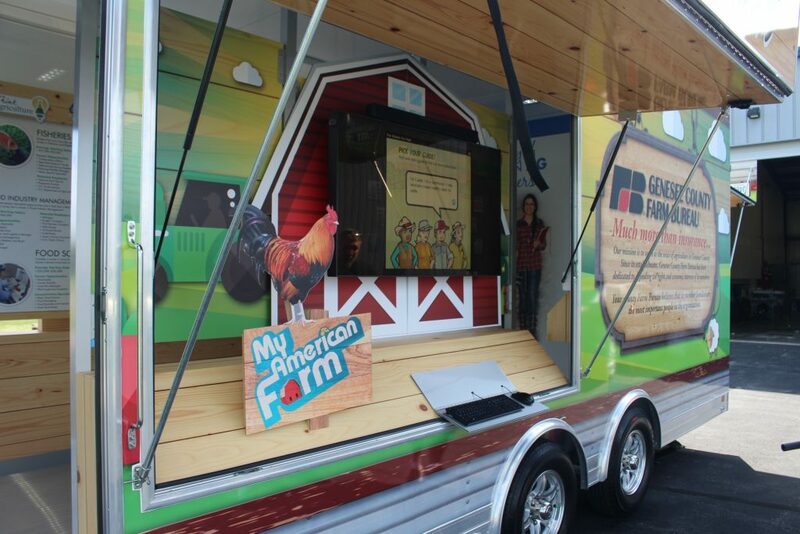 Our interactive and educational “Ag on the Move” trailer that the Exhibit Farm team put together has made it possible for us to bring agricultural education on the road with us. 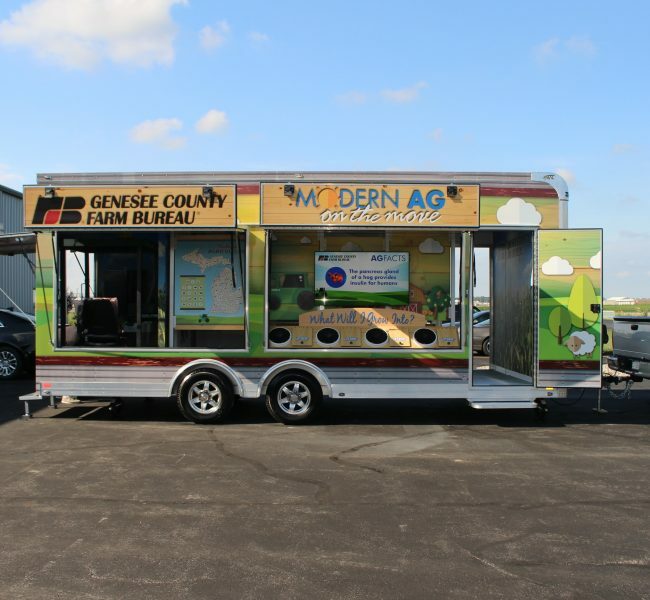 Thanks to their innovative design, we’ve been able to use this tool to spread our Genesee County Farm Bureau message. 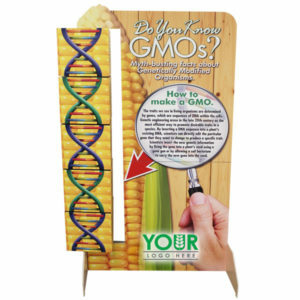 We were looking to update our exhibit materials for the Indiana State Fair with elements that would help fill the big space we have while also being easy to transport, set up, and tear down, so we contacted the people at Exhibit Farm. We had seen pictures of some of their past work, and the projects they did for us did not disappoint. 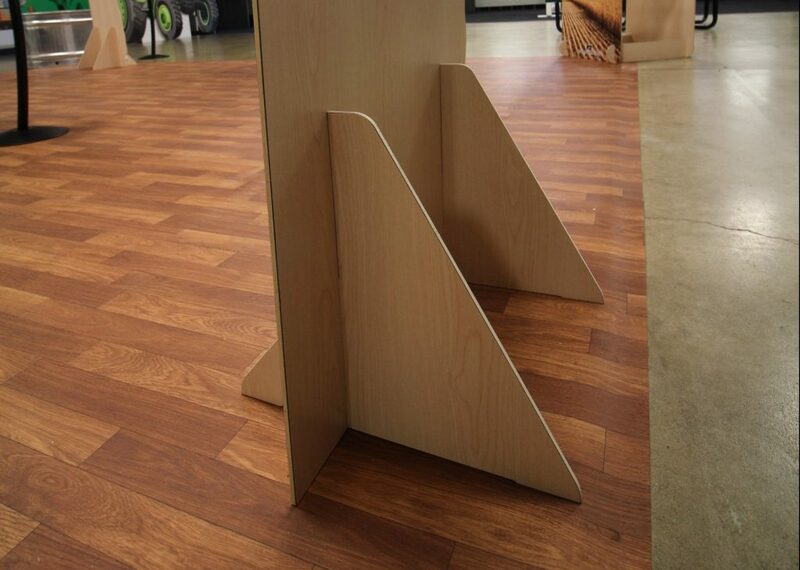 Their creative solutions met our needs and brought a fresh feel to our fair display. We have been working hard updating our facilities to enhance our customer and community tour experience. 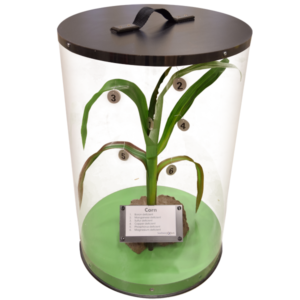 The team behind Exhibit Farm has helped us achieve that with their innovative design and solutions. Tell us your needs. Share your ideas. Sign up for our monthly email newsletter to be alerted about special deals or product updates.